Bool is a unique acrade game, a circular Breakout game with elements of pool. 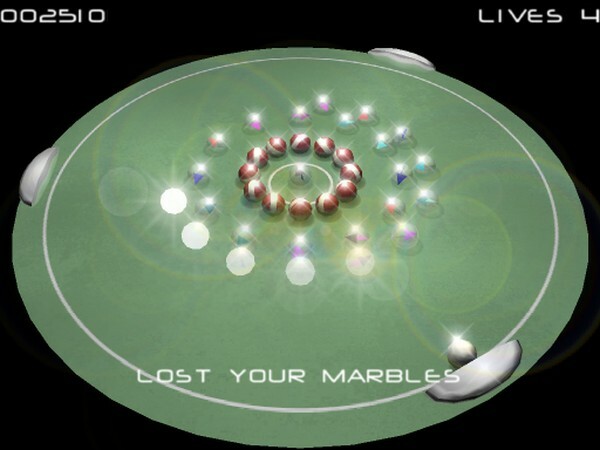 On each level you must clear the table by bouncing the ever-moving cue ball around the circular table, smashing the balls into oblovion, or rolling them into each other and off the edge of the table. Special balls, such as glass balls and indestructable balls add to the complexity of the game as you progress, level by level, towards the final level and the ultimate climax.